Low plasma Lp(a) levels in patients with obstructive jaundice. 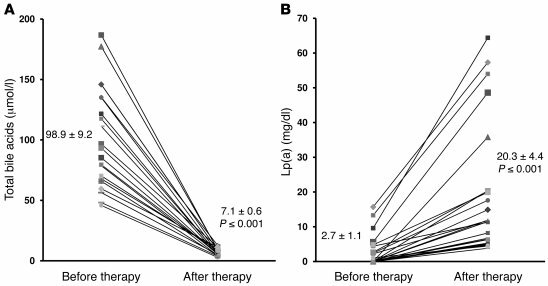 Plasma samples from 20 patients suffering from obstructive jaundice of different etiology were assayed for (A) total bile acids and (B) Lp(a), before and after surgical or endoscopic treatment. Values are expressed as mean ± SEM. See Supplemental Table 1 for details.